The Court of Appeals of Wisconsin found that a circuit court judge correctly ruled that the statute of limitations barred its trade secrets claim against PepsiCo for an idea which was eventually marketed as the well-known Aquafina bottled water brand. The inventors, I'm not naming them, originally came up with an idea for purified water, which was was pitched in 1981 as "Ultra-Pure." Though there apparently was some initial interest, nothing materialized in the way of product development. The origin of the lawsuit is somewhat incredible. 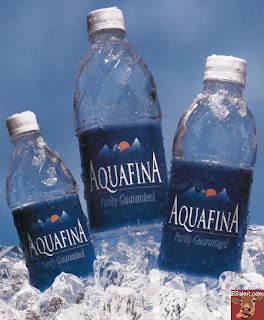 Aquafina has been on the market for nearly twenty years. One of the inventors of Ultra-Pure claimed he first saw Aquafina in 2007. When he bought a bottle, he "remembered the unique taste of Ultra-Pure." The inventors concluded that based on the taste of the product and the product marketing information (? ), PepsiCo and others misappropriated the Ultra-Pure idea. The circuit court, however, concluded the claim was time-barred. As Aquafina had been on the market for nearly 15 years before the inventors discovered it, they failed to show reasonable diligence. In Wisconsin, a claim of trade secrets misappropriation must be brought within three years of discovery, either actual or constructive (that is, through the exercise of reasonable diligence). The appellate court agreed with the circuit court's reasoning that the inventors did nothing to exercise reasonable diligence (read a trade journal, or something...) and that they still wouldn't have done anything if one of the inventors "hadn't been particularly thirsty on that day in 2007 when he purchased a bottle of Aquafina by chance."